EWR Co's CONSULTATION CLOSED. CBRR CONSIDER RESPONSES AND SUPPORT. What do you know about the East West Railway? We need your help to get it right! Signing our Petition to Secretary of State Chris Grayling MP at Ministry of Transport is our top priority. Please go to Support Us page and scroll down to Petition. Every vote counts and spread the word please. Critical decisions about the ‘Central Section’ of this key piece of new National Infrastructure, between Cambridge and Bedford, are only months away. This is a huge project of National importance, but most people are unaware of the project. The current ‘preferred route’ offers few positives. It provides no improvements to public transport options for residents in our region yet threatens significant planning blight and road closures. Worse still, we believe the current plan amounts to a missed opportunity to provide sustainable travel for our region and to mitigate the chronic traffic issues we all face. Pressure the government to provide the coordination called for by the National Infrastructure Commission before key decisions are made and the project is past the point of no return. 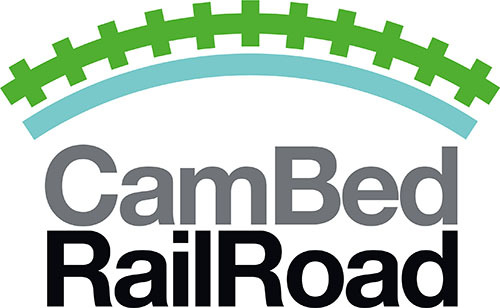 The current routes being considered offer nothing to the communities in South Cambridgeshire and Bedfordshire through which they pass and leave the densely populated and rapidly growing areas such as Northstowe, Cambourne and St Neots, to the North and West of Cambridge, stranded with no rail link. The CBRR route proposal is the common-sense solution! Please explore our site and form your own opinions. We hope you will agree with us and add your support. TIME IS RUNNING OUT, so only swift action will give us a chance of getting this right!